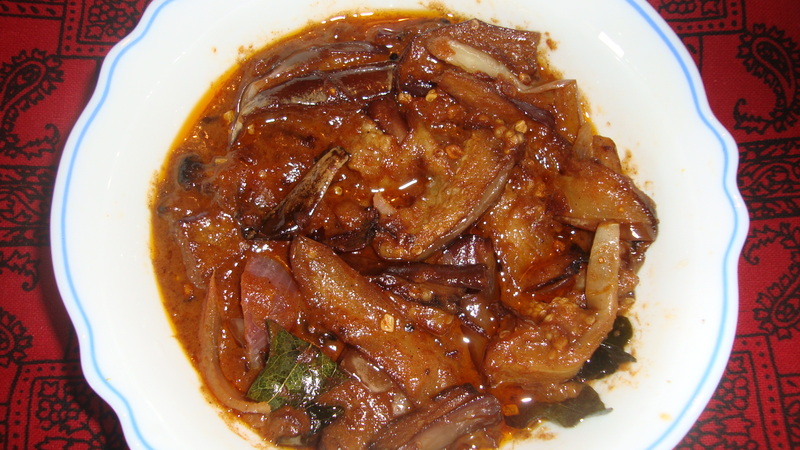 One of the brinjal recipes of my mother that I like is the brinjal salad. 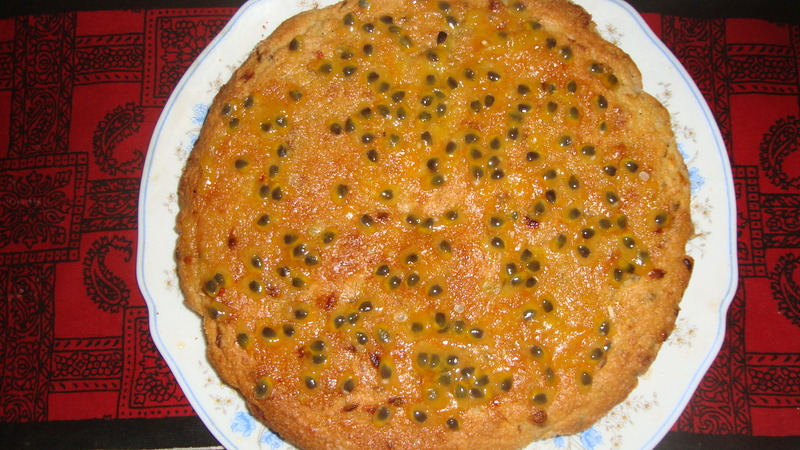 Her recipe is an adaptation of her grandmother’s recipe. Wash the brinjal and then wrap the whole brinjal, in tin foil. Boil a half-filled saucepan of water and then drop this tin-foil wrapped brinjal in the pan to cook for 10 minutes. After the brinjal is cooked, remove from the pan and unwrap the foil. Peel the brinjal immediately as it will otherwise be difficult to remove if cooled. Add some lime juice and serve with rice. Note: My great-grandmother used to roast the brinjal, wrapped in a leaf, inserted among the firewood stove so I can imagine that the salad would have had a nice smoky, roasted flavour. So, translated into today’s world, roasting the brinjal wrapped in tin foil in an oven would be the equivalent. 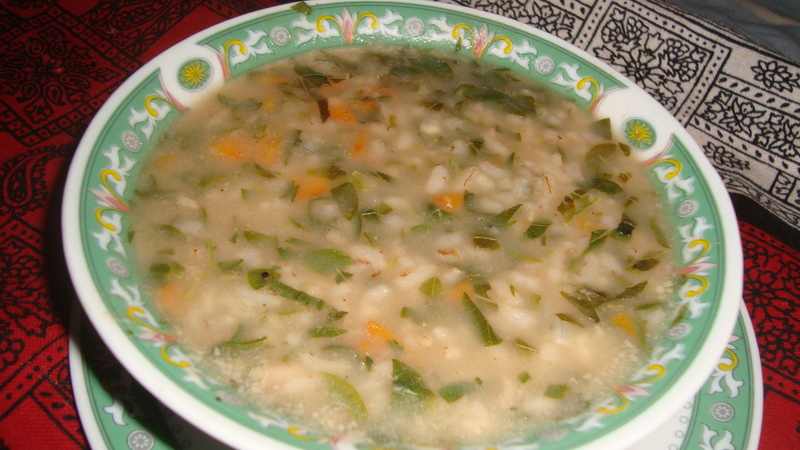 Update (04/07/4014): I wanted to also share a kanji (soup/porridge) recipe that is popular in Jaffna at the Soups with SS event hosted by Sonal and Shruti. 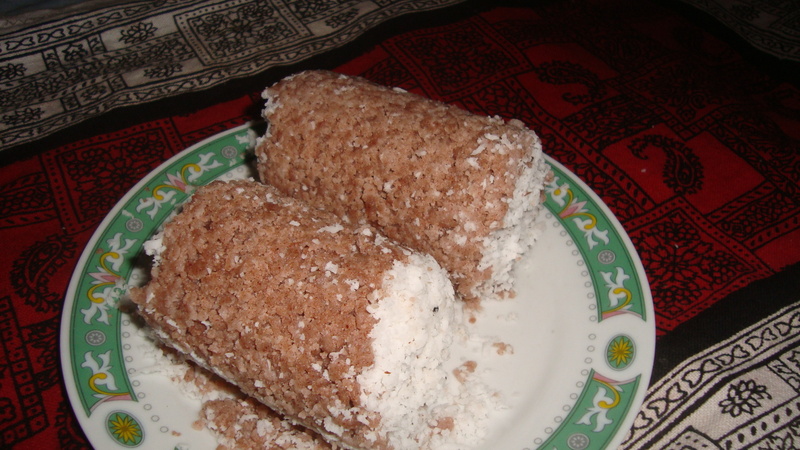 This morning, I will share my mother’s recipe for murungai ilai kanji. My mother makes different types of kanji occasionally for breakfast but I like this one the best. Squeeze some lime juice before serving hot. 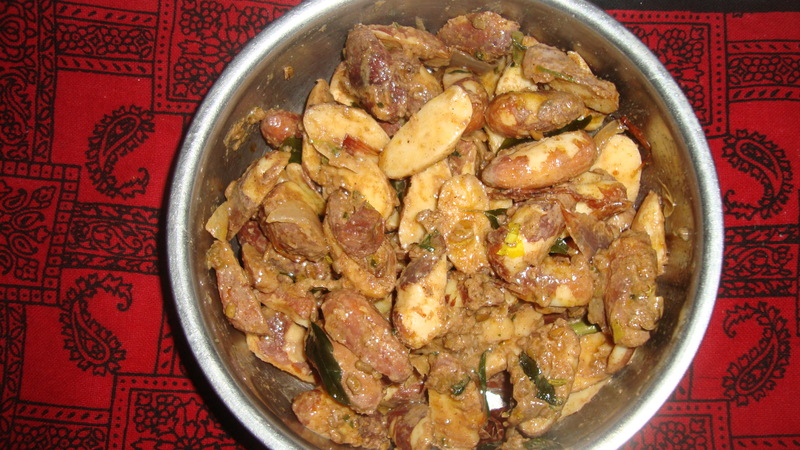 This is one of the ways my mother cooks jackfruit seeds. It is difficult to cut up fresh, ripe jackfruit. When you keep it for 2 to 3 days, it becomes easier to chop and peel the outer layers and remove the fruit. As you pull out each of the sweet and ripe yellow fruit, cut a slit and remove the seed inside and collect in a separate bowl. Wash and clean the jackfruit seeds. 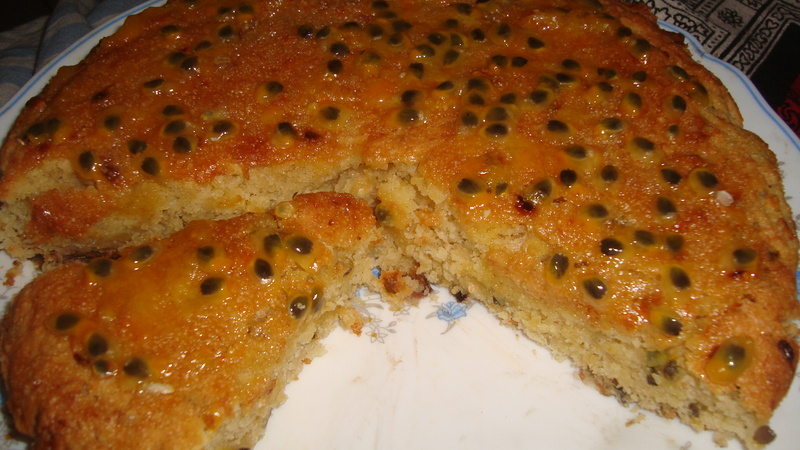 Put the cleaned jackfruit seeds in a pan and add 2 ½ cups of thin coconut milk. Also add the chopped onion, curry leaves and the curry powder and salt. Cook for about 20 minutes until the curry thickens and the seeds are cooked and soft enough. 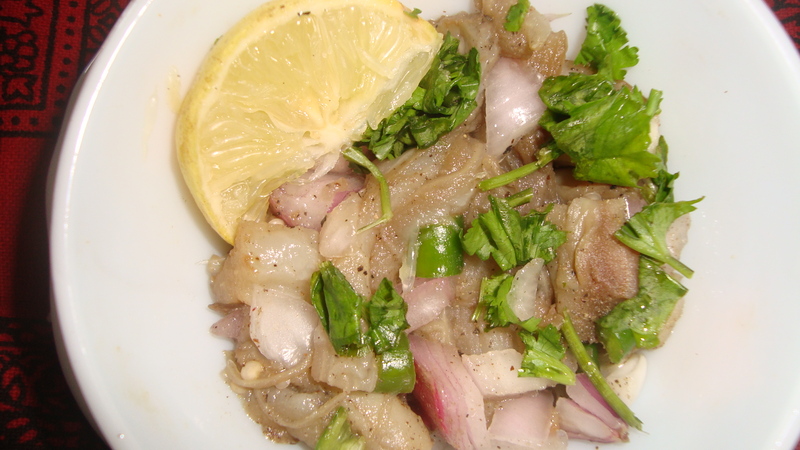 The first recipe for today is vallarai salad followed by vallarai chutney. 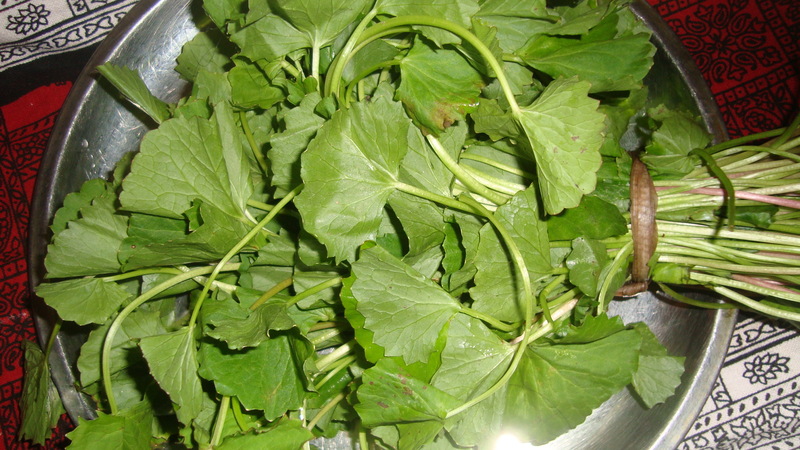 Vallarai/ Gotukola (Centella Asiatica) is a herb used in Ayurvedic medicine, traditional Chinese as well as African medicine. 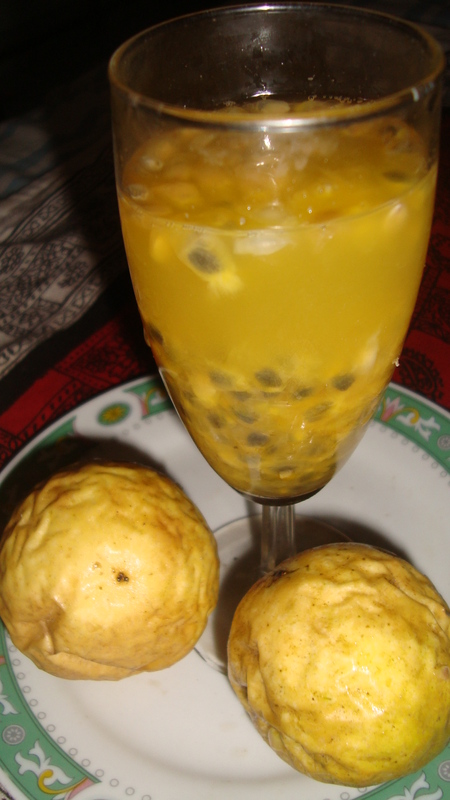 It is said to improve memory and some believe youthfulness. 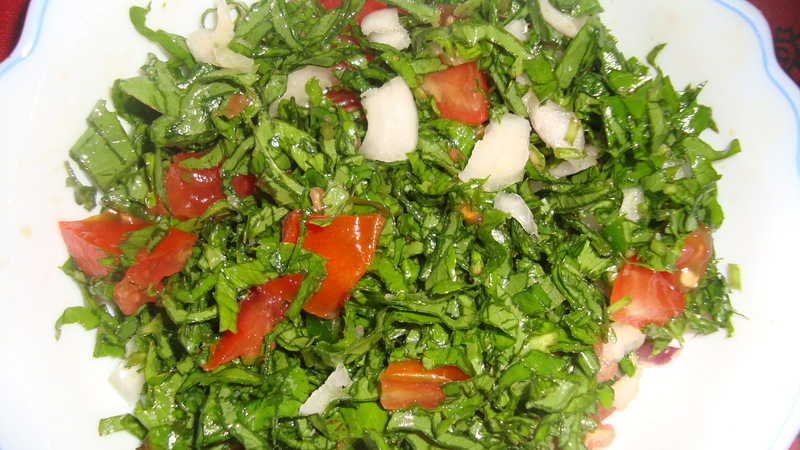 Wash the bunch of vallarai leaves thoroughly and then finely chop them up and put them in a large salad mixing bowl. Chop up the tomato, chilli and onion and add to the bowl. For those who don’t like tomatoes, substitute with freshly scraped coconut. Sprinkle some pepper and salt, to taste and add the lime juice. 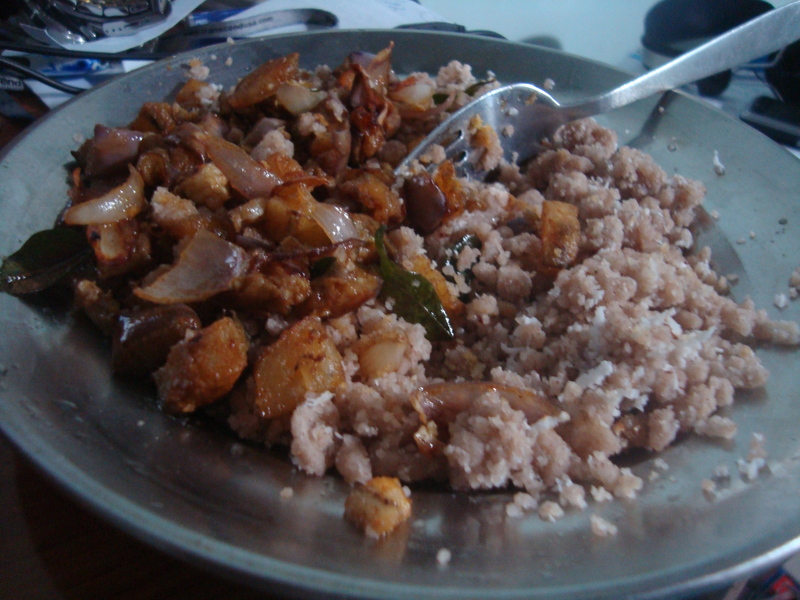 Blend the 2 cups of finely chopped vallarai with ½ cup of freshly scraped coconut, ½ onion and 2 chillies. 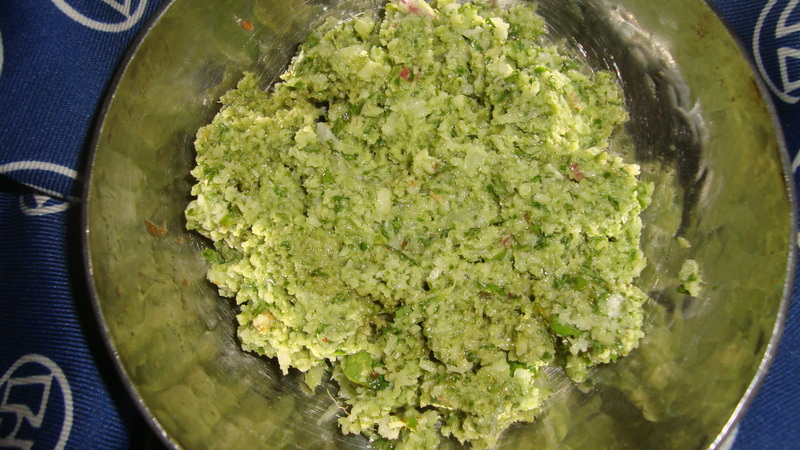 Squeeze some fresh lime juice over the chutney and mix before serving immediately.